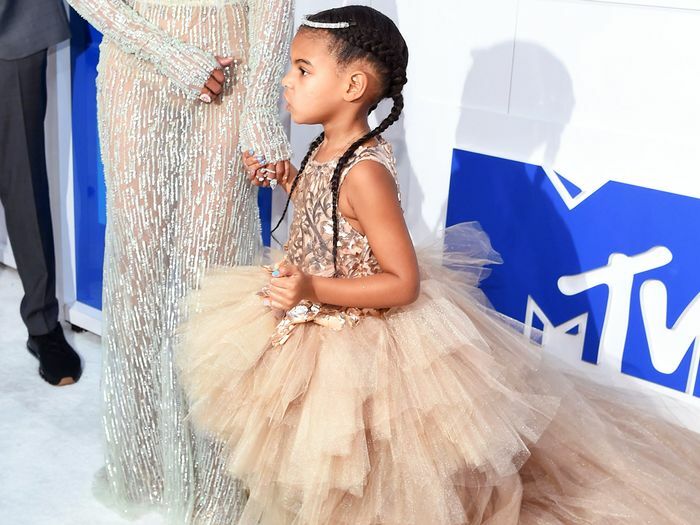 Whether she likes it or not (but we have a feeling she does), Blue Ivy Carter has to walk red carpets and attend high-profile events with her very famous parents. And even though she's a mere 6 years old, having Beyoncé and Jay-Z as her parents means that millions of people are watching what she wears. So what would you do if you were Beyoncé and wanted your kid to look as fabulous as you do? If you thought hire them a stylist—ding ding ding! WWD just reported that Manuel A. Mendez is Blue Ivy's stylist and personal shopper and is employed by the Beyoncé-founded management company Parkwood Entertainment. If it still sounds far-fetched to you, believe it—the report was confirmed by Beyoncé's representative. Among Mendez's #ootd posts on his personal Instagram account, you'll find posts listing Blue Ivy's outfit credits, as most celebrity stylists are known to do; he has been doing so for well over a year. And adorably, many of the posts are tagged #kidsstyling and #kidsfashion. All signs point to there being a lot more Gucci, Dolce & Gabbana, and Dior in Blue Ivy's future. See the proof below. #ᴇᴀsᴛᴇʀsᴜɴᴅᴀʏ #kidsstyling Manú Man ??????????? ?